Today, SoundCloud, an audio platform that has concentrated on music makers so far, makes a significant pivot into the wider sphere of audio sharing. Up until now SoundCloud has done a pretty incredible job of attracting well known artists to its platform such as The Foo Fighters, Kylie, Deadmau5, Moby and Caribou, who have used it to effectively socialise their music. 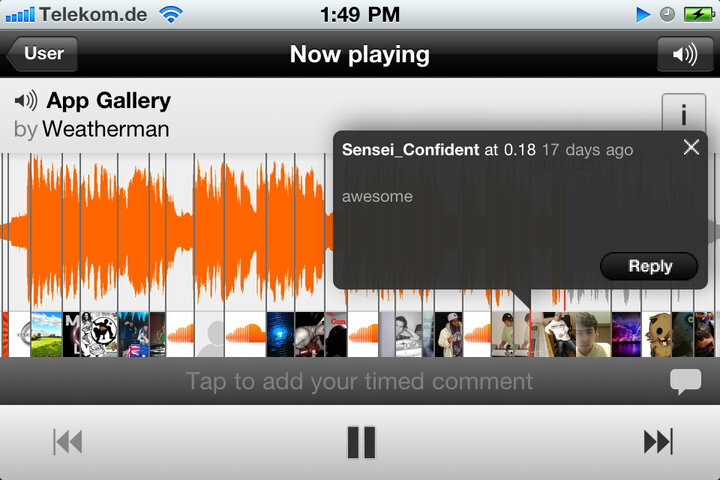 But today Soundcloud releases the ability to record sound direct via the site, and via it’s updated iPhone app. That puts it into the realm of pure audio sharing platforms such as Cinch and Audioboo. In other news SoundCloud has also passed two million users. SoundCloud’s new record facility on the site or iPhone apps lets users capture sound anywhere and put it into their waveform player to share it across social networks, websites, the SoundCloud community or privately between friends. The iPhone app also has the ability to add an image and location to the sound recording. This is exactly what Audioboo and Cinch do already for instance, but the social features on SoundCloud may well trump any existing player right now. Check out the screen grabs below. Having looked at the app I can see that I may shift my own audio recording to SoundCloud because the experience is really very good.